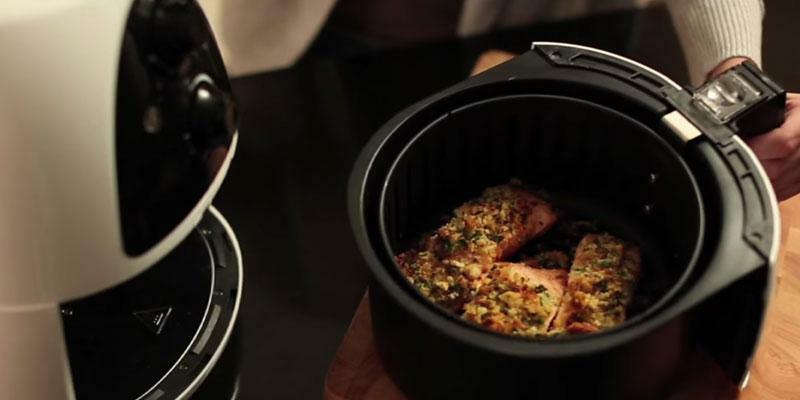 The Philips airfryer cooks food thanks to the unique Rapid Air Technology. 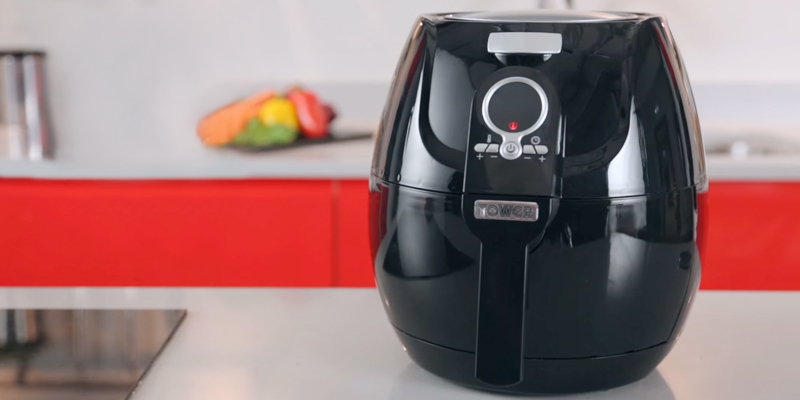 Compact size of this airfryer makes it a good choice for cramped kitchens. 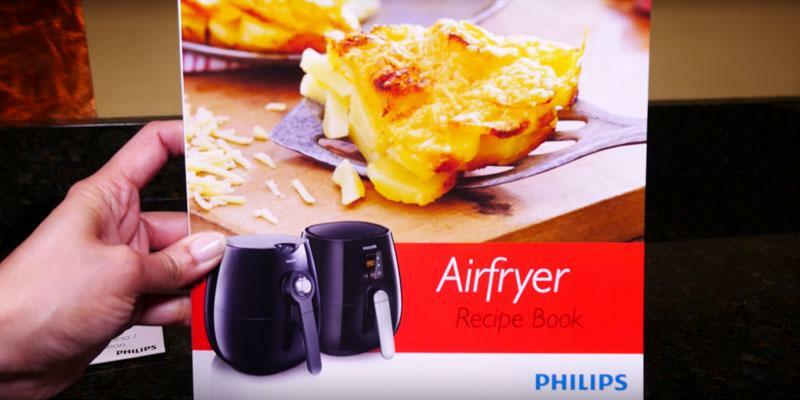 Philips air fryer comes with a fantastic recipe book that contains lots of different dishes. Compact size means this appliance is too small for a large family. 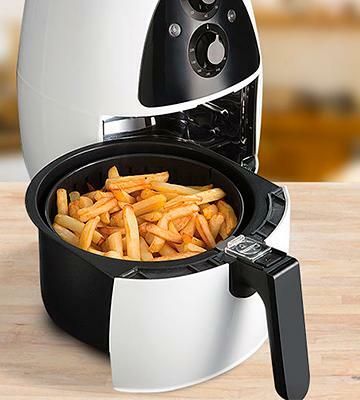 That's an excellent airfryer that combines high assembly quality and impressive cooking capabilities. Best pick for personal use. The Duronic airfryer is quite performing thanks to a high power and optimal capacity for an average family. 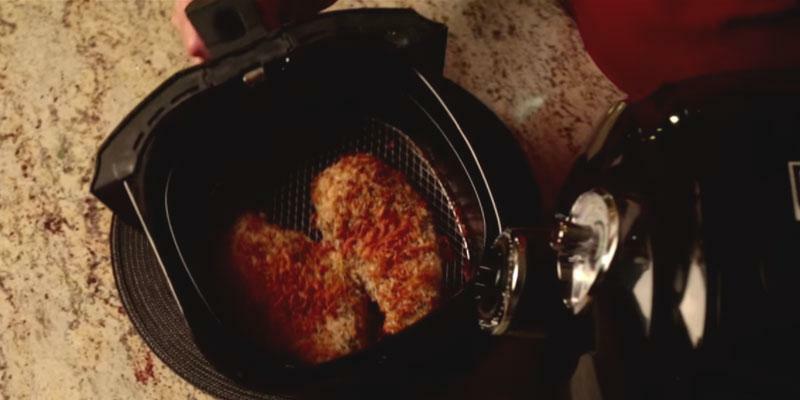 Though it's an affordable air fryer, it emits almost no smell. Available in 2 colours, so you can pick the one fitting your kitchen interior. High power means high electricity consumption. The Duronic airfryer is a great and money-saving appliance thanks to which you will be a real cook, able to make chips, fish, meat, and even desserts. 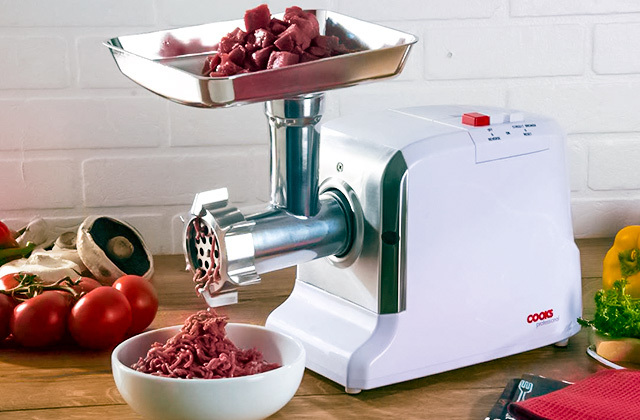 Automatic lid allows you to add ingredients during the cooking process if need be. The fryer's operation stops when the lid is opened and renews once it is closed. 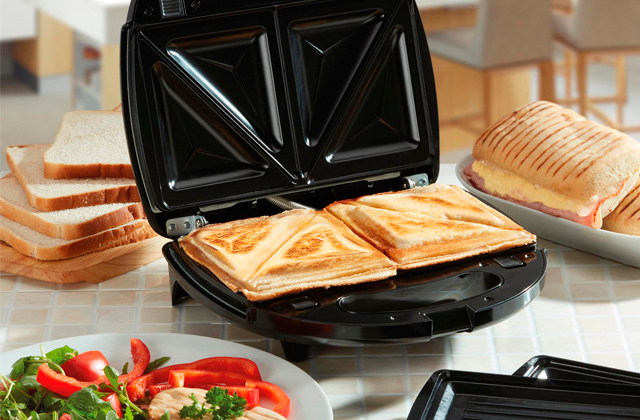 Choose Tefal ActiFry and cook delicious dishes for the family of four effortlessly. Recipe book included in the box will help you cook perfect chips, chicken, and other popular dishes. 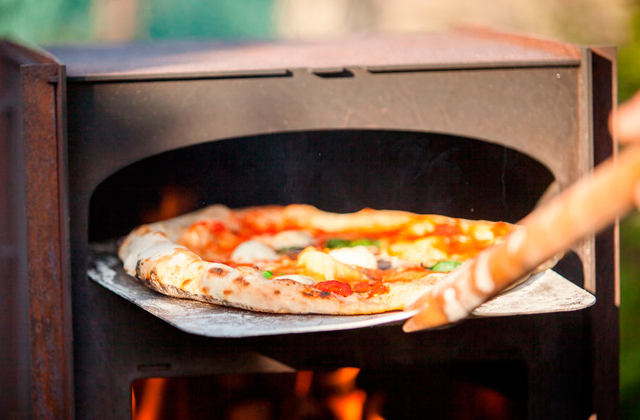 The model comes equipped with an innovative Rapid air circulation technology that cooks the ingredients from every possible side and provides the owner with an evenly cooked result every single time. It also features a large 3.2-litre capacity, providing you with plenty of room to fit all of the food you want. The recipe book features American measurements and ingredients that can be hard to come by in the United Kingdom. 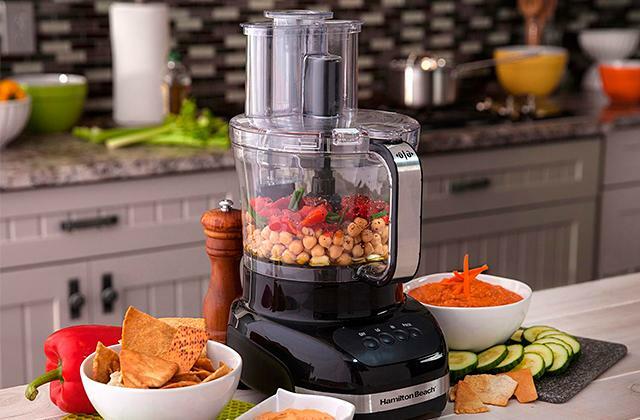 With the Tower T14004, preparing some of that favourite food of yours is not only going to be simple and convenient but the model will also make sure that the end result will be as healthy as humanly possible. All removable parts of this Russel Hobbs airfryer are absolutely dishwasher-safe, so you don't need to bother yourself at all. 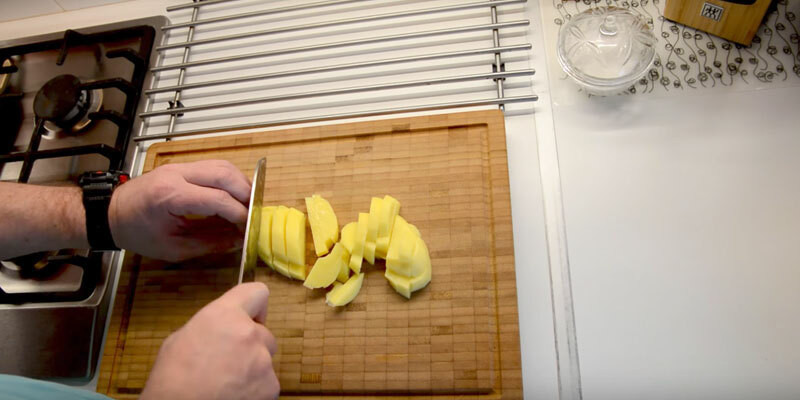 The partition lets you cook 2 different dishes simultaneously - it saves a lot of time. Some owners of this aifryer would like it to have a bit more power for faster cooking. 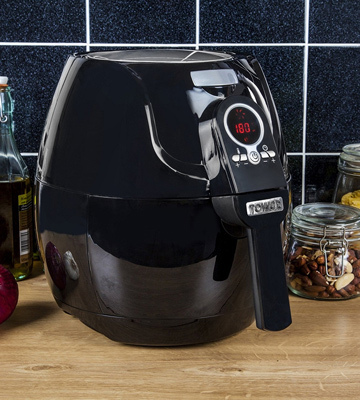 This is a truly reliable, money-saving air fryer which will help you eat healthy, fat-free food and experiment with recipes. 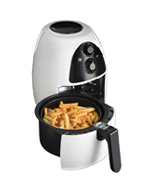 This Philips airfryer is a rather powerful model - 1425 Watts, so it cooks your favourite food fairly fast. The Philips engineers created a unique Rapid Air technology which not only makes cooking quick but also reduces smells. For example, frying fish fingers takes just 6 minutes, whereas a steak requires just about 10 minutes of air frying. Comparing to conventional ways of frying, this Philips airfryer consumes 80% less oil, which is definitely a major plus for your health. The capacity of this Philips airfryer is rather small - just 0.8 kilogram, which is enough to cook food for 2 persons. 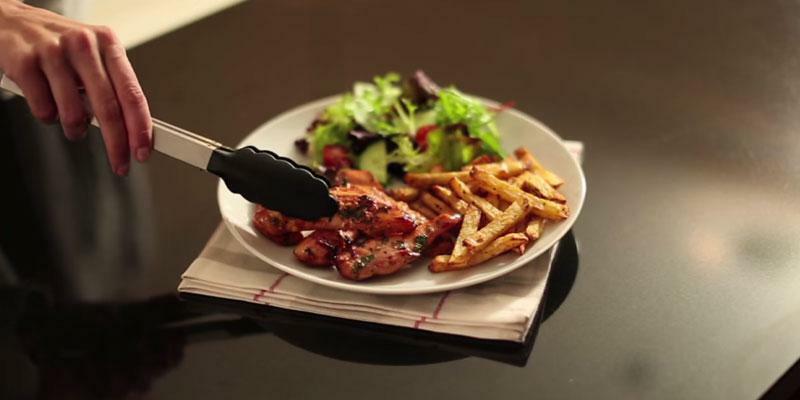 Thanks to Rapid Air technology, you can easily fry, bake, grill and even roast ingredients. You will find some cooking instructions in the manual that comes in a package. 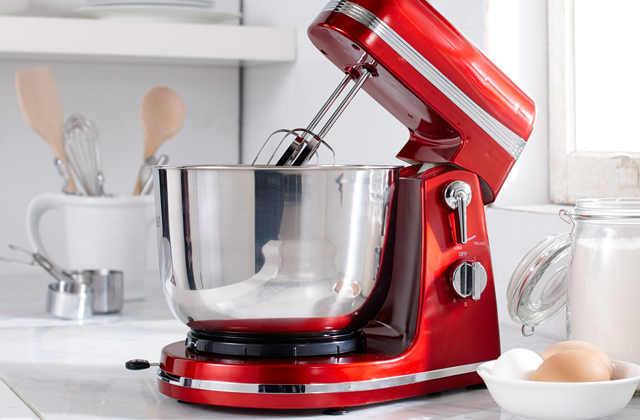 Philips is a great appliance for baking: you can make muffins and cakes within less than an hour! You can impress your family and guests with your creativity! 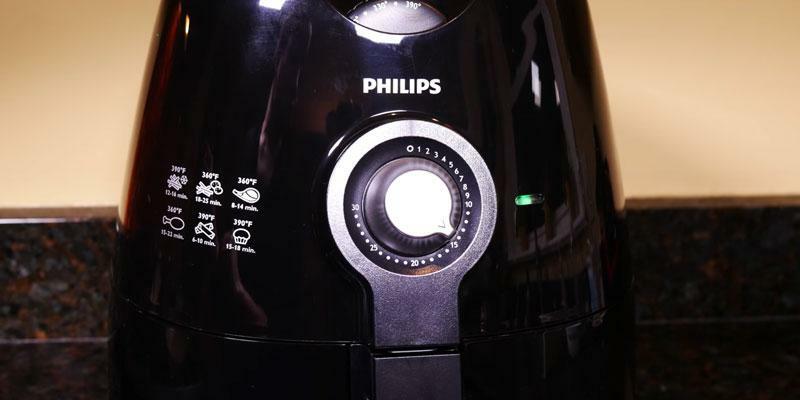 The HD9220 from Philips is a typical air fryer that has a built-in timer that allows you to set it up to 30 minutes. A timer has an auto shut-off with a sound signal, which will inform you when your meal is ready. 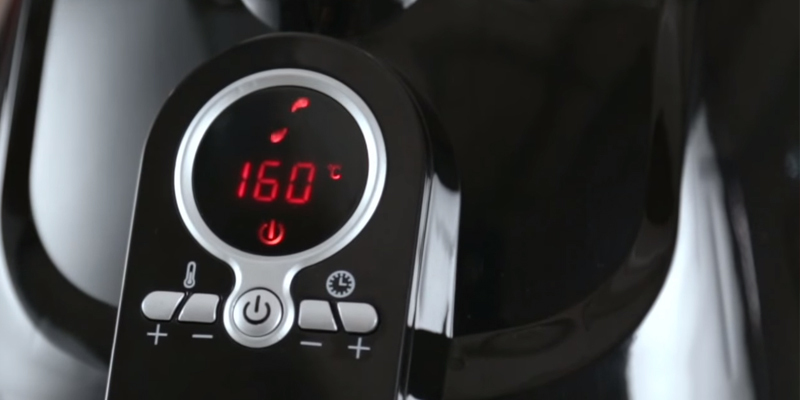 Philips airfryer also has a temperature control - up to 200 degrees Celsius. In general, you should consult a manual, choose the right temperature and the right time - and push the ON button. 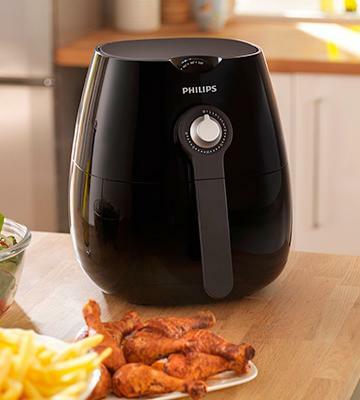 The HD9220 Philips airfryer comes with a removable cooking pan and a basket. No problem if you want to cook 2 different dishes simultaneously - there's also a special separator that divides the basket into 2 halves. For example, you can cook a steak and some chips. 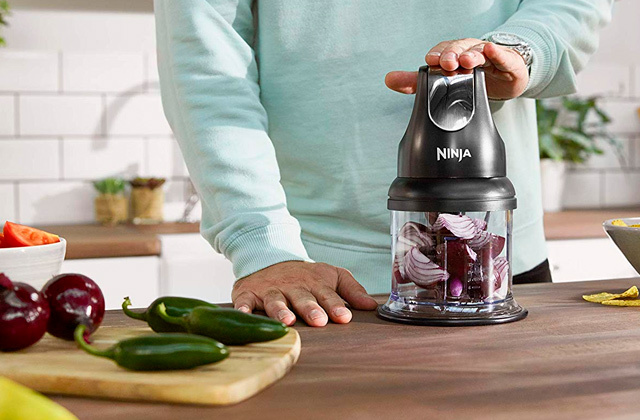 The removable accessories are dishwasher-safe, so you can save a lot of your personal time by just leaving the cleaning - the most unpleasant part of cooking - to a machine. Though it's quite unusual for a money saving appliance, the Duronic air fryer is the most powerful appliance on our shortlist - 1500 Watts. Therefore, you can cook very quickly and save up a lot of time. Cooking fish and chips or, for instance, meat and vegetables takes less than 30 minutes! That's amazingly fast compared to conventional cooking on a stove and with loads of oil. No need to say, a small portion of chips will be ready much faster (around 10-15 minutes). 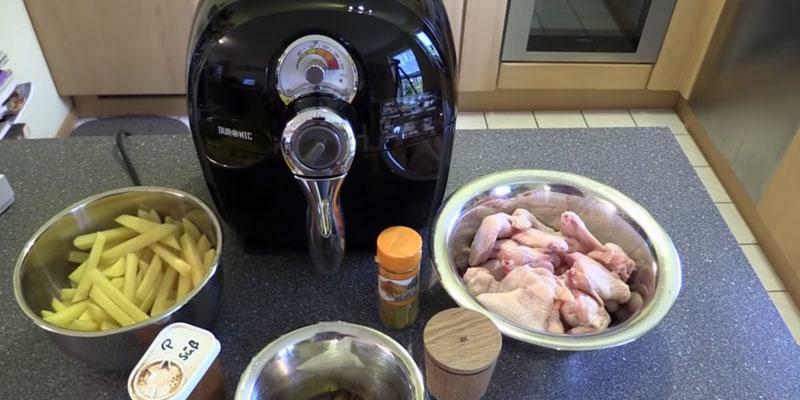 The Duronic AF1 is a mid-sized air fryer that has the capacity of 2.2 litres, though it doesn't mean you can put 2 kilogrammes of meat into a pan. There are lots of dishes you can cook in this Duronic aifryer: potato chips, meat rolls, chicken wings and legs, meat steaks, shrimp, vegetables, etc. Also, you can even cook soups and desserts! All the cooking happens inside an air fryer, which means there is no splattering, splashes or food smells in the kitchen. First of all, you can control the cooking time with a sound indicator that lets you know when the cooking is finished. You will hear the sound even from another room. No need to say, a timer has an auto switch-off mode, so just set the time and go do what you want. Also, the Duronic air fryer has an adjustable temperature control, so you can pick the best temperature for any particular food. The maximum is 200 degrees Celsius. 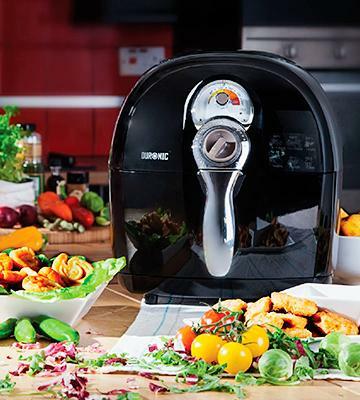 The Duronic AF1 air fryer is a compact kitchen appliance that doesn't take much space in your kitchen. The dimensions are as follows: 33 x 33 x 32 centimetres, while the total weight is 7 kilogrammes. There are the following accessories included in a package - a removable cooking bowl, basket, and partition. The latter is used to divide a cooking area into 2 parts so that you can cook 2 different dishes simultaneously. With Tefal ActiFry Air Fryer in your kitchen, you won’t have to choose between your favourite chips and healthy lifestyle anymore. 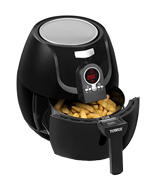 Just like most of them, this air fryer can cook up to one kilo of crispy snacks with a single tablespoon of oil. 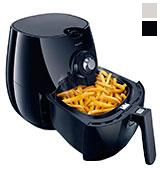 Although the capacity of the fryer is 1.2 kilos, it’s recommended to leave some space for a more convenient stirring. Besides popular crisps, you can also cook other vegetables, chicken, seafood, and even desserts. If you aren’t sure how long this or that food product should be fried, you can use printed tips on the control panel. Moreover, you can experiment with various recipes you’ll find in a recipe book included in the box. And if you want to increase the number of meals to cook in Tefal air fryer, My ActiFry App for iOS or Android will definitely come to your liking. There, you’ll find a lot of recipes with step-by-step instructions and other useful functions such as nutrition coaching and search filters. 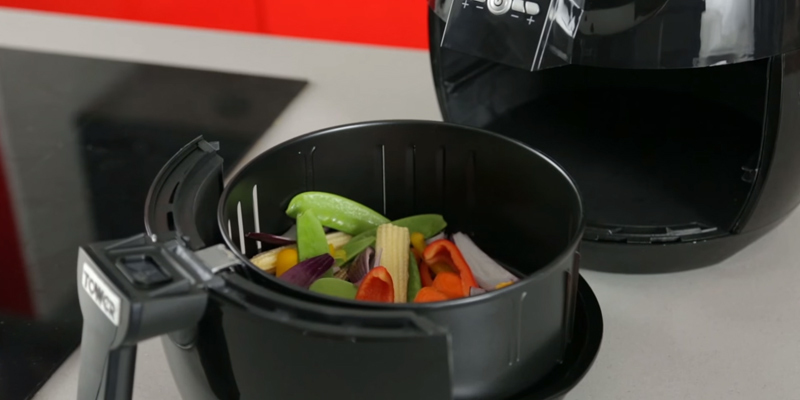 Choose Tefal ActiFry Air Fryer, and let your diet be healthy and tasty at the same time. 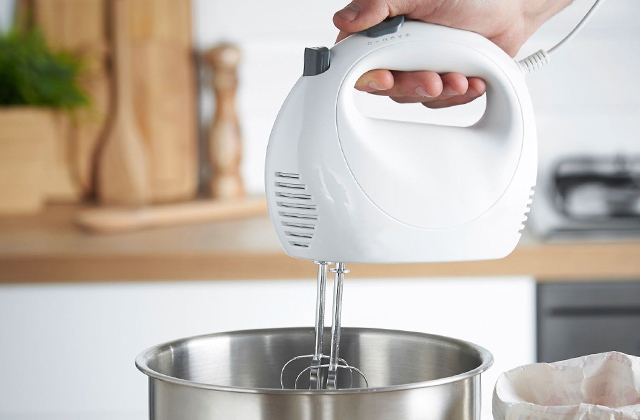 Tefal ActiFry appliance is equipped with a patented system of air supply – once the temperature reaches 170°C, it is maintained during the whole cooking process. 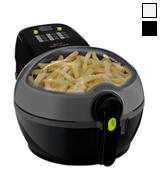 The fryer also has an automatic stirring paddle that provides even cooking even if you’ve cut potatoes in pieces of different sizes. 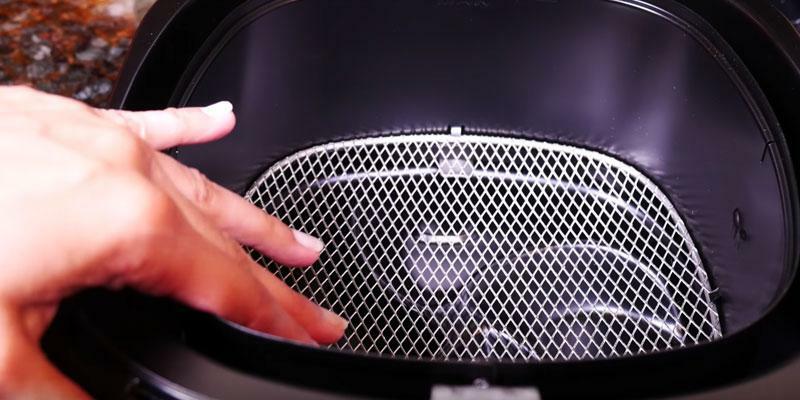 Transparent lid adds to the usability of the fryer greatly allowing you to control the cooking process effortlessly. By the way, if you need to add some ingredients while your dish is fried, you don’t need to stop the appliance. Just open the lid, add the ingredients, and close it again – the fryer will renew its operation automatically. One more thing you’ll like about this model is its elaborate design. 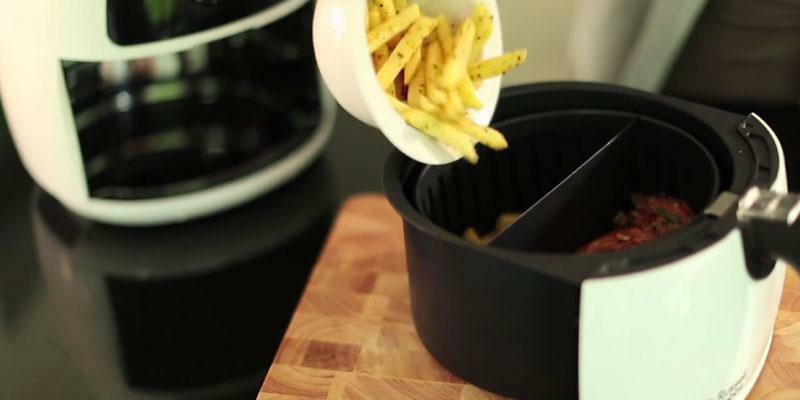 Removable pan is equipped with a handle that simplifies the process of taking cooked dish out of the fryer. 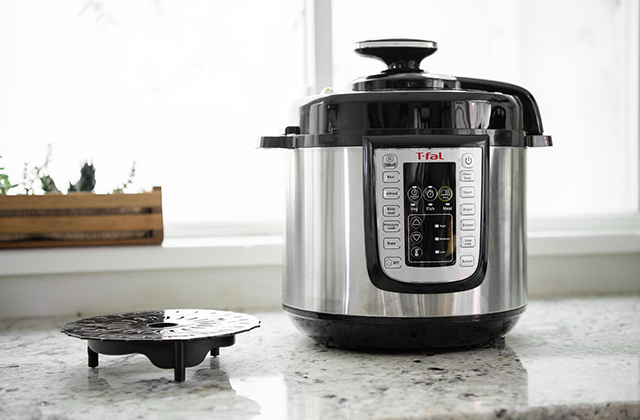 On top of that, all removable parts including the pan, lid, and stirring paddle are dishwasher safe, so taking care of your Tefal air fryer will cause no distress. The timer function rids you of the necessity to check on the readiness of your dish every five minutes. Just set the timer, and feel free to do whatever you need. Meanwhile, your Tefal helper cooks for you. When the cooking is finished, you’ll hear an audio signal notifying you the dish is ready. 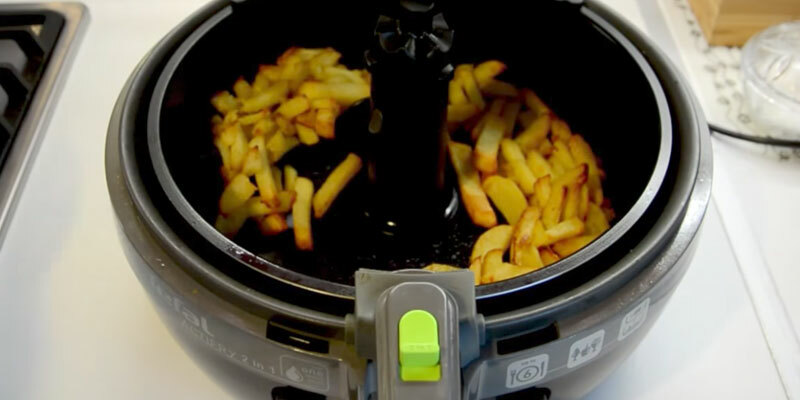 For the fries to not only taste good but look mouth-watering too, use a food chopper – it will help you cut potatoes into equal pieces. Cooking is one of those activities that not everybody can necessarily attest to enjoying but even those that can't really call themselves enthusiasts in the field of preparing and making your own food can agree that this is one of those skills that to a greater or lesser extent everybody should have in his arsenal. Not only does homemade generally tend to be a much healthier alternative to most of anything found in your average restaurant or a diner but, if prepared correctly, it also is more likely to taste far better than any other alternative. Of course, just because you make your own food, that doesn't necessarily mean that your meal is going to be as healthy as humanly possible. As much you may love your potato chips, deep-fried fish or chicken, french fries or most types of pastries, those certainly aren't the healthiest options out there. One of the main reasons for that is the fact that those foods generally tend to be prepared in a deep-fryer using an abundance of oil, which is essentially a synthetic saturated fat that can be rather harmful to an individual, especially if consumed in large portions on a daily basis. Consequently, as one might expect, more and more people are starting to invest in an air fryer since even an average model is capable of using up to 80% less oil than some of the best deep-frying solutions on the market. Of course, not a whole lot of individuals know that much about what to look for in a device like that in terms of quality, performance, and price range. Which is why we did that job for you and present you with one of the better air frying solutions on the market, the Tower T14004. If you're new to this category of kitchen appliances, you may be interested to know that Tower is considered to be one of the best brands in the field of pressure cookers and their products have been making the process of healthy cooking simple for almost a century with their high-quality electrical appliances, cookware and kitchen resources that are developed and manufactured in order to make your day-to-day life just a little bit more comfortable and enjoyable. And the Tower T14004 is not planning to be an exception to that rule, featuring a convenient and effective design with a jet black body that won't take too much of your kitchen space thanks to just 37 x 28 x 31 centimetres in overall dimensions and a weight of no more than 4.5 kilograms. 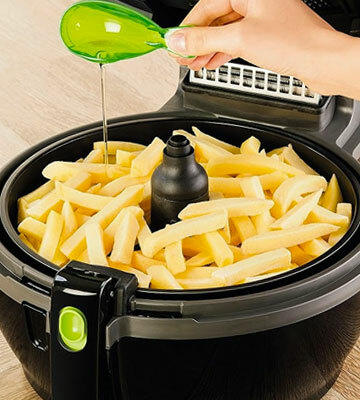 One of the most interesting things about this model is that it comes equipped with an innovative Rapid air circulation technology that operates by circulating hot air at a high speed around the fryer, cooking ingredients from every possible side and providing you with an evenly cooked result every single time. The circulating air not only cooks your foods to perfection every time, but the technology is also capable of virtually eliminating the need for oil, supplying you with a faster, easier and healthier way of cooking. When it comes to an air fryer, it is hard to underestimate the importance of the maximum capacity. If your device does not come with enough room for a solid meal, the kind of inconvenience it would create is not worth any potential upsides. Fortunately enough, the Tower T14004 does not suffer from this problem. This appliance includes a large 3.2-litre capacity, providing you with plenty of room to fit more of that favourite food of yours. 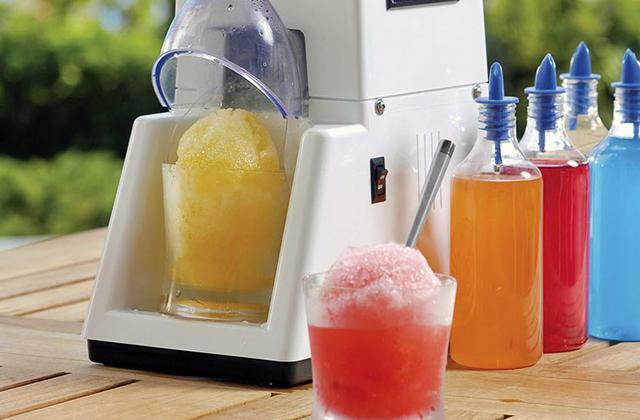 With room for up to five servings, the device is perfect for families, or if you’re planning on entertaining friends. The innovative air circulation structure makes sure that even with larger portions of food, the air fryer still significantly cuts cooking times, giving you and the whole family delicious meals even faster. The last but not least, this model comes with an integrated digital 30-minute timer and a convenient and an accessible non-stick food basket ensures that loading the Tower Low Fat Air Fryer can be surprisingly simple. 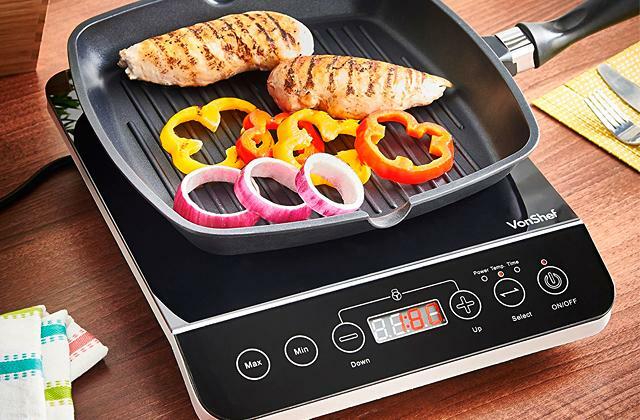 The appliance features a noticeable advantage over the majority of competition in that no oil at all is required during cooking, meaning that the meals you prepare with this device are as healthy as they can be. With the Tower T14004, preparing some of that favourite food of yours is not only going to be simple and convenient but the model will also make sure that the end result will be as healthy as humanly possible. This Russell Hobbs air fryer has the power of 1230 Watts - which is totally sufficient, considering a compact size of this appliance. 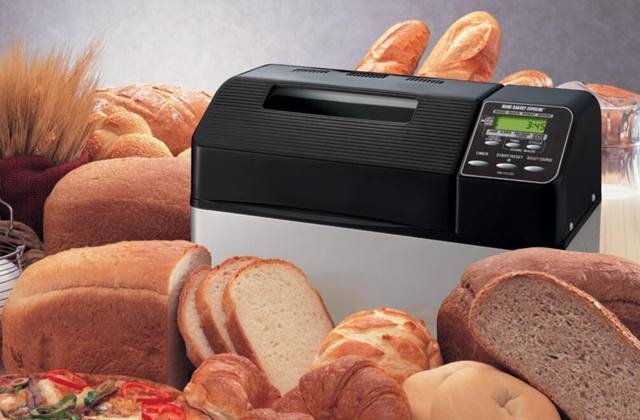 Thanks to Russell Hobbs 20810 you will be able to cook all of your favourite dishes as quickly as possible, while the maximum cooking time is 60 minutes. Needless to mention, the time depends on the type and amount of food you are going to make. However, think of an unexpected advantage of this model - smaller power means smaller electricity bills for you! As of capacity, the Russell Hobbs air fryer has a 2-litre cooking pan. It's an optimal capacity for a family of 3-5 persons - not too big yet not too small. Easily make lots of chips, fish sticks, meat steaks, fish, chicken legs and wings, and so on. Also, you can bake a lot of different, yum yum meals like cupcakes, muffins, pies, and even scones! If you need to cook for your family - Russell Hobbs will be extremely helpful! 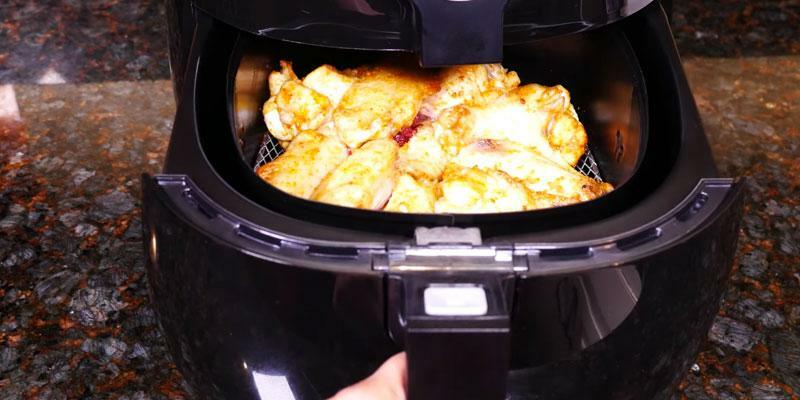 It's easy to control and use this Russell Hobbs air fryer. Just like most other similar appliances, the model has a timer (up to 60 minutes) with an automatic shut-off - when the cooking is over, the unit switches off and informs you with an audible signal. 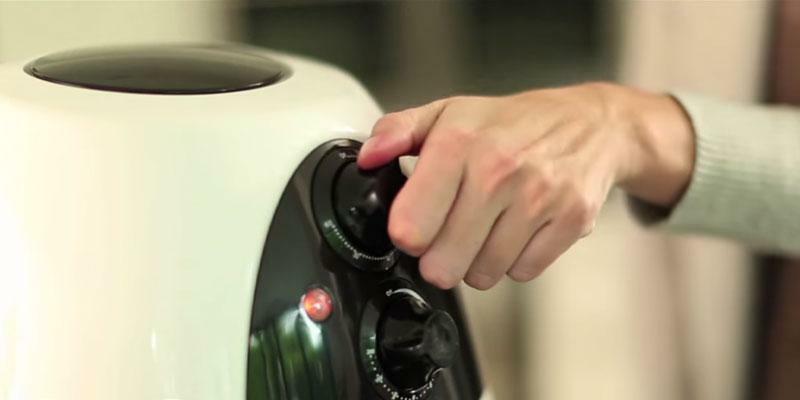 Also, when you are about to start using an air fryer, make sure to set the right temperature. This model has an adjustable temperature control (max. 200 degrees Celsius), so you can pick the right setting for every meal. Don't forget to read the manual - all the required temperature settings are shown there. This hot air fryer is a relatively compact and stylish appliance, which has the following dimensions: 35.5 x 38.8 x 28.5 centimetres. 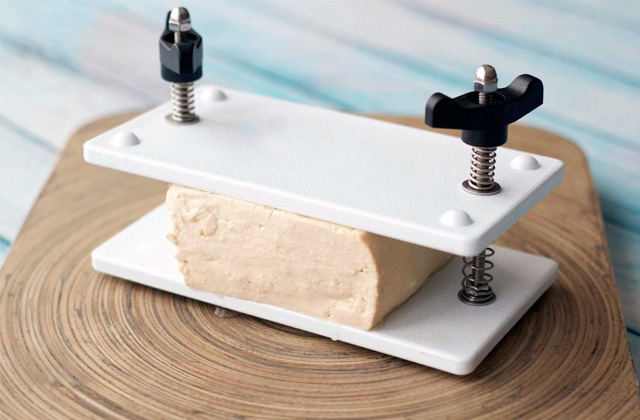 Thus, any home-maker will find a place for it in his or her kitchen. Apart from the main body of the appliance, the package includes a cooking pan, a basket, and a partition. These accessories are dishwasher-safe, so you won't need to wash them manually. The partition is a very handy item since you'll be able to halve the cooking area and cook 2 dishes at once. Nowadays, a new generation of cooking appliances has been created. The so-called harmful food can be cooked in a much healthier way with the help of an air fryer by means of the hot air technology, so you don't need to add oil while cooking anymore. As a result, you can make some tasty and crunchy food, which is cholesterol-free and doesn't cause any obesity problems. 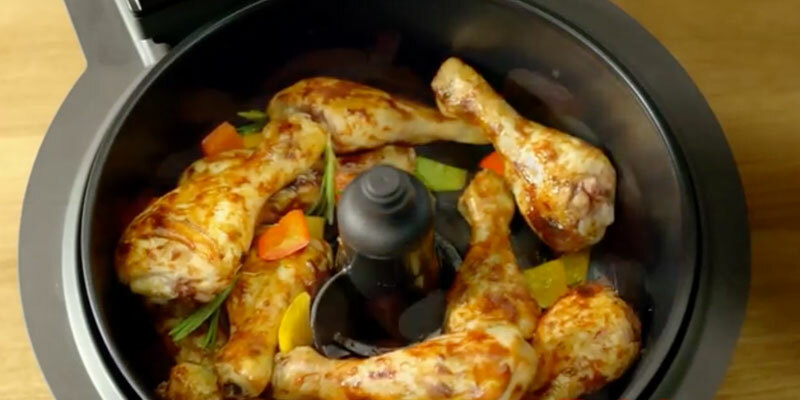 Actually, you can cook almost any dish in the air fryer, from potato chips, fried vegetables to chicken and cakes. Moreover, the food cooked in an air fryer contains little fat, but it preserves all nutritional properties of ingredients. The hot air circulation is ensured by a special built-in ventilator inside an air fryer. Everything that you cook in the conventional oven can be cooked in the air fryer. Besides, the food will be much more delicious and more beneficial for our health (since the excess of fat causes multiple diseases). A hot air fryer looks like an air grill but it consumes less electricity and requires shorter cooking time. This appliance can be used in any place, without the kitchen hood, requiring only a socket. Also, if you really want to eat healthy and tasty food, we recommend you to check out our reviews of rice cookers, slow cookers, and pressure cookers. When you are about to choose the appropriate air fryer, it's essential to pay attention to the Power, because the productivity heavily depends on it. A large amount of food requires higher power for fast cooking. So, if you are eager to cook lots of food at a time, it's essential to choose the air fryer with a high power. The next step you should make is to consider the Capacity, which shows how much food you can actually cook at a time. The higher capacity an air fryer has, the more food you can cook. If you need to cook for yourself from time to time, air fryers with the capacity of less than 2 litres will be appropriate. In case you have a really big family or if you are going to have guests and cook a large amount of food for them - you’ll be pleased to acquire the extra-capacious air fryer. Some of them have huge cooking bowls reaching the capacity of more than 15 litres. The choice of the right capacity is important because it's rather inconvenient to use an oversized appliance and vice versa. If you need the diversity in cooking, pay attention to all the available Settings. As usual, air fryers have a temperature control and a timer, so you can set the right duration of cooking and the most appropriate temperature. The best air fryers come with handy recipe books that contain recipes and detailed instructions. Moreover, the additional features such as defrost and warm-up will help you cook your favourite dishes and save you lots of time. Sometimes you need to cook several dishes simultaneously and, therefore, you have to know what is included in a packaging. Finally, we analyzed the supply Package of each airfryer on the shortlist. 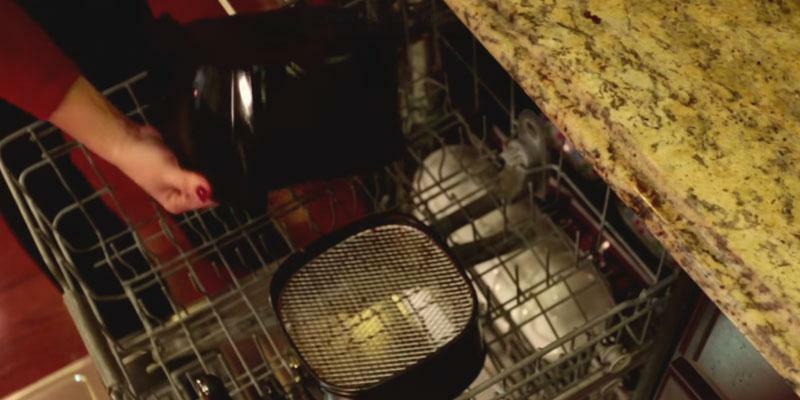 Most appliances include indispensable parts like a cooking pan/bowl and a basket. Sometimes you need to cook several dishes simultaneously and that's why you should use racks, trays or so-called separators. Separators, for example, divide the basket into 2 halves, so you can cook 2 different dishes at a time. Also, some hot air fryers have some additional accessories such as a mixing paddle. 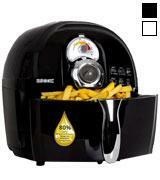 You might need to mix some food ingredients for even cooking, and some air fryers do it automatically with a paddle. However, in most cases you just pull the basket with food out and stir the ingredients manually. 1. 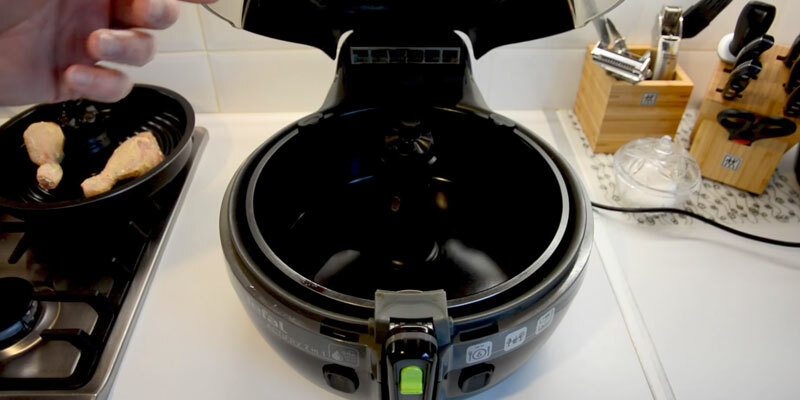 Corinna Horrigan Air fryer buying guide, Choice. January 9, 2017. 2. William Jolly Air Fryers Buying Guide, CANSTAR. November 11, 2016. 3. Matt Clear How to buy the best fryer, Which? 4. Air fryer, Wikipedia. January 24, 2017.